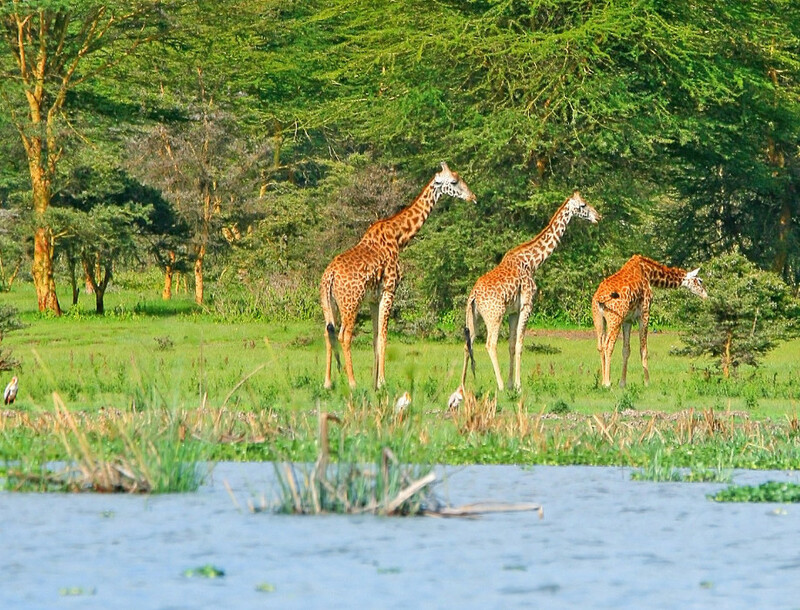 Lake Naivasha is located in the Kenyan sector of Africa’s Great Rift Valley northwest of Nairobi. It is the highest point in the Kenyan rift, set in a complex geological combination of volcanic rocks and sedimentary deposits. Njorwa Gorge, which forms the entrance to Hell’s Gate National Park, contains spectacular samples of weather-worn rock formations, an abundance of flora and fauna as well as extremely rare lammergeyers. Lake Naivasha is also home to hippos and freshwater fish which attract spectacular birds such as Long-tailed and Great Comorants, Fish Eagles, Pelicans and Kingfishers. Moved by the majesty of his 1855 discovery, Scottish missionary David Livingstone named the phenomenon in honor of the British Queen Victoria. 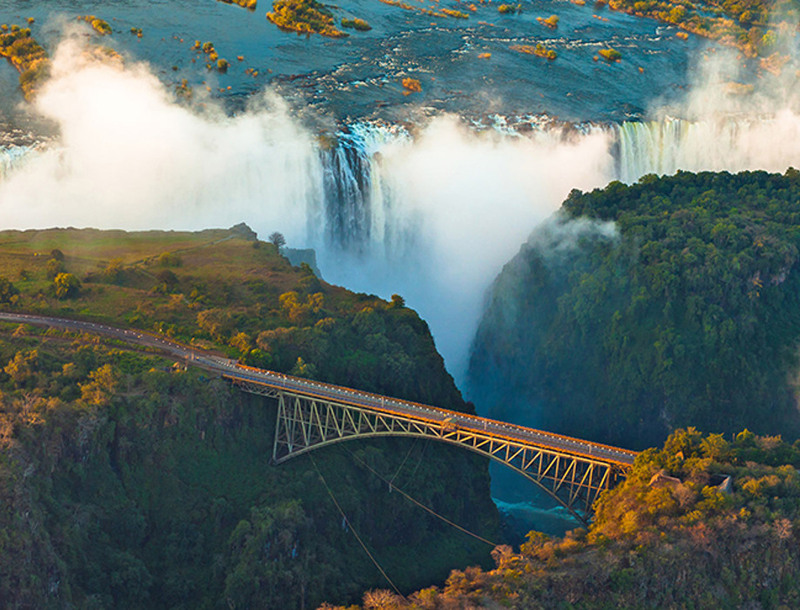 Today, Africans refer to it as Mosi-oa-Tunya—“the smoke that thunders” and visitors regard it as the world’s largest sheet of falling water. It is almost twice as high as Niagara Falls and is rivaled in width only by the Iguazu Falls in South America. You will revel in the splendor of Victoria Falls—one of the seven Natural Wonders of the World—from both the Zambian and Zimbabwean perspectives. Marvel at the picturesque beauty of Bloemfontein (Dutch for fountain of flowers) while driving along the spectacular Garden route to one of the world’s most spectacular cities, Cape Town. Accommodation options include the landscaped gardens of the Protea Hotel Bloemfontein on Nelson Mandela Drive and the charm of The Clarendon Bantry Bay minutes from the Victoria and Albert Waterfront, Table Mountain and Clifton Beaches. 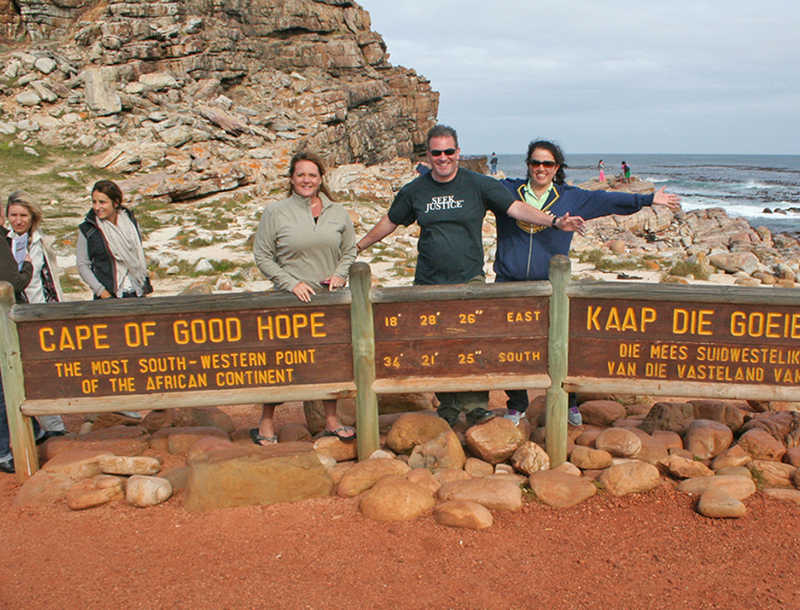 The shipwrecks of Cape Point, ferry trips to historic Robben Island and shark age diving provide a fitting climax to an unforgettable South African adventure. Experience the elegance of rail travel on the most luxurious train in the world. 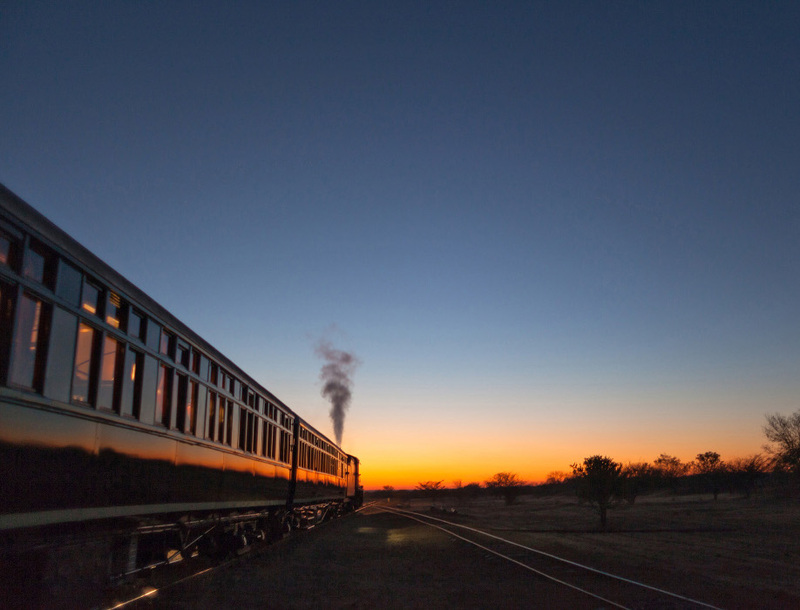 Rovos Rail’s unique safaris through the heart of Africa combine magnificent scenery with the glamour and excitement of the golden age of rail travel. Wood-paneled coaches refurbished to mint condition and fine cuisine presented in five-star luxury, help you recapture the romance of a bygone era while experiencing the magic and mystery of contemporary Africa. Spend three of your most memorable nights luxuriating in Sir Richard Branson’s private game reserve, Ulusaba. From the comfort of the Cliff Lodge Suite’s African themed Rock Lodge Rooms, perched on summit of a kopje, you will marvel at the majesty of the Drakenberg mountain range. 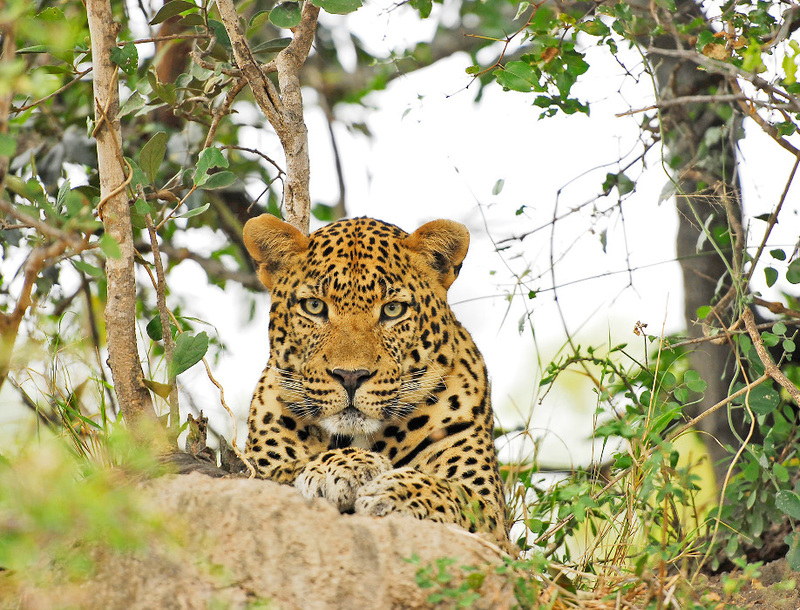 You will also appreciate spectacular wildlife sightings—lions, leopards, rhinos, buffalo, elephants, cheetahs and more than 200 other animals indigenous to the area. On one of those nights, it may be possible, with some luck, for you to receive the rare pleasure of dining in the company of fellow philanthropist, Sir Richard Branson himself.